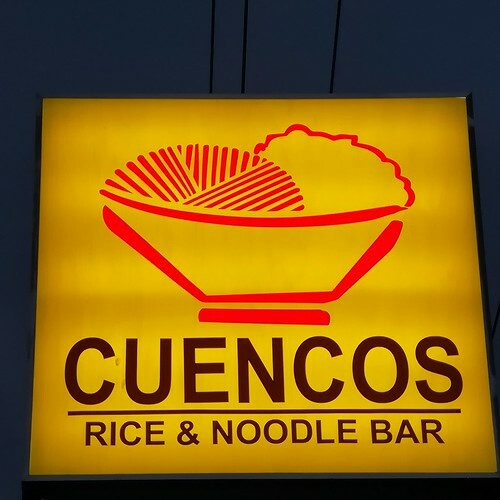 My last stop with the Davao Food Crawl was at Cuencos Rice and Noodle Bar located at Tulip Drive in Matina, Davao City. It is in the building right across the entrance gate of Fuente de Villa-Abrille Subdivision. 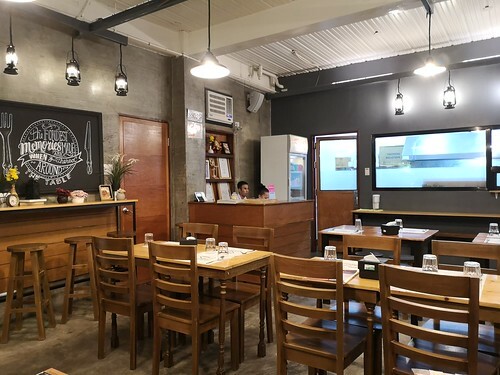 It is a clean and cozy homegrown resto which for me is one ideal option good for Sunday dinner with your family. 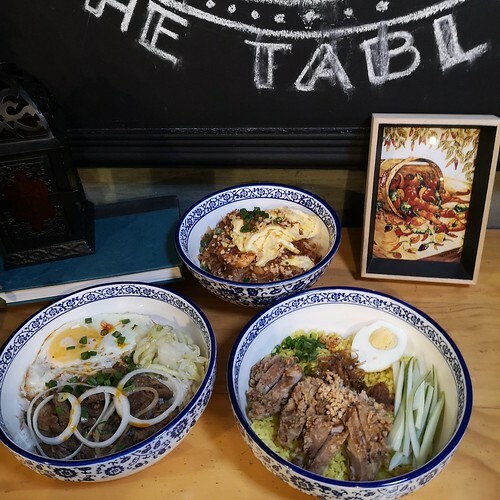 It’s your go to restaurant in the neighborhood when you crave for Asian rice and noodle dishes served in a bowl. The word CUENCOS is Spanish for earthenware bowls. 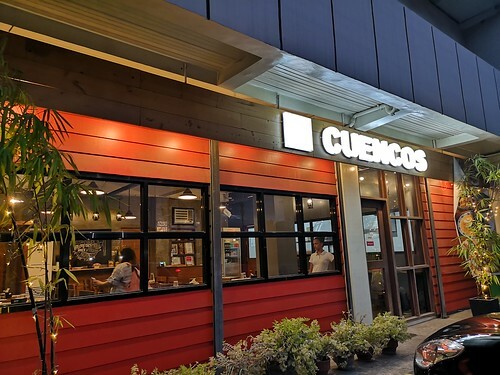 The idea behind Cuencos is to bring a certain comfort in serving familiar and flavorful food in bowls. 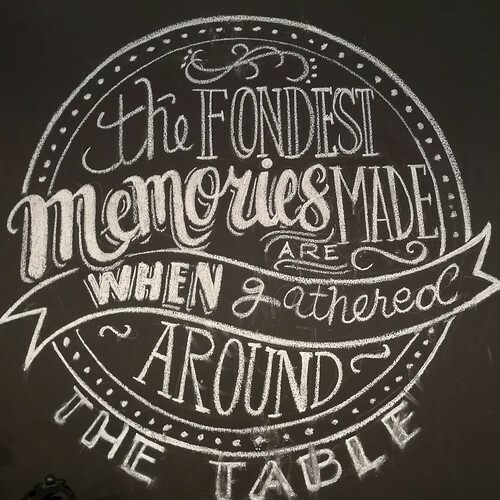 Perhaps this has to do with how we learned to eat in a bowl or when we sip warm soup to make us feel better that serving food in “cuencos” just brings it right at home. I spotted a family of three who dined in when we were there. A nice place to spend dinner and quiet time as we are about to end the weekend. We had the whole resto to ourselves for awhile when I took this photo shortly before dinner time that Sunday. 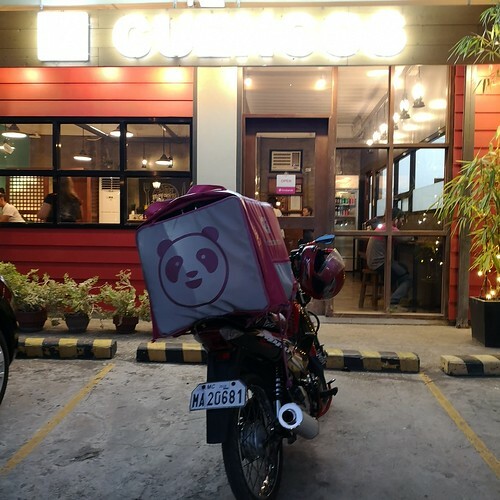 Spotted a foodpanda rider or delivery guy. Actually spotted three different riders who picked up food orders when we were there. 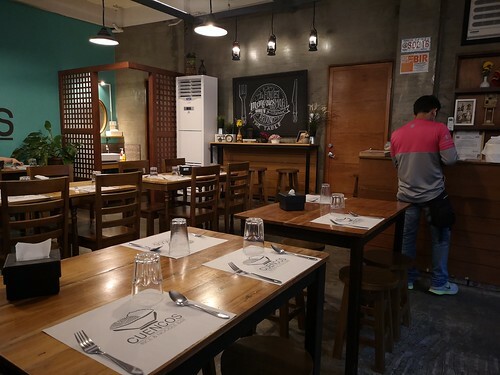 I actually like sometimes dining in a resto where there are no other customers. Just me and my boys enjoying our food without any noise from other diners. Especially on a Sunday night when you just wanna relax for the last few hours of the weekend before another week of hustle and bustle especially during school weekdays. The vibe perhaps may be a little different during weekdays especially going to the weekend when there are more people dining in. We were able to rest while waiting as they cooked the dishes they served us. For their Noodle Bowls, this bowl of Pad Thai (P170) was the first dish they served. It partly satisfied my craving for one which I have in mind for quite sometime now. It can good for one if you are really craving for one or good for sharing with a friend who wants a taste of Thailand as a friend would joke me with. *wink* Pad Thai is a stir-fried noodle dish and a known street food or resto food in Thailand. 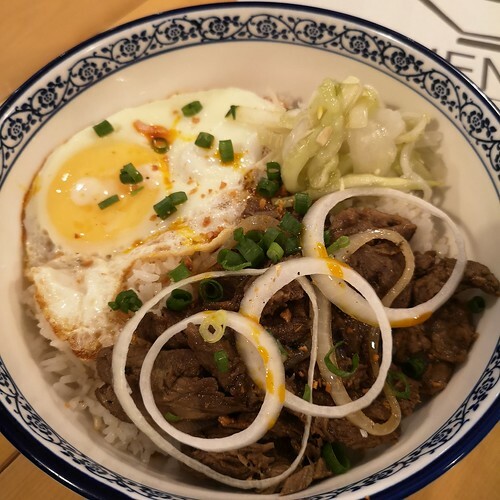 Bistek Tagalog (P195) served with rice and egg topped with chopped spring onion leaves and a few onion rings. 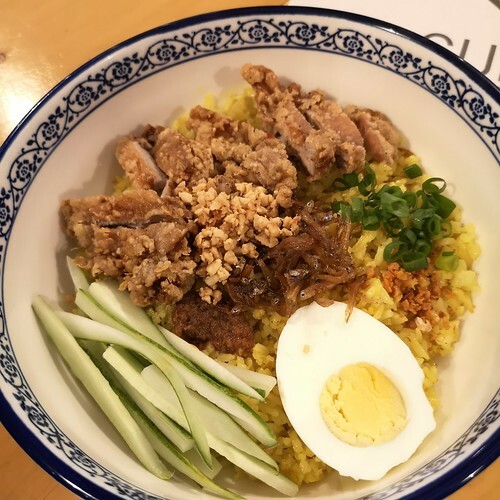 We wish to try to visit them again with my boys and try their other rice and noodle bowl dishes. 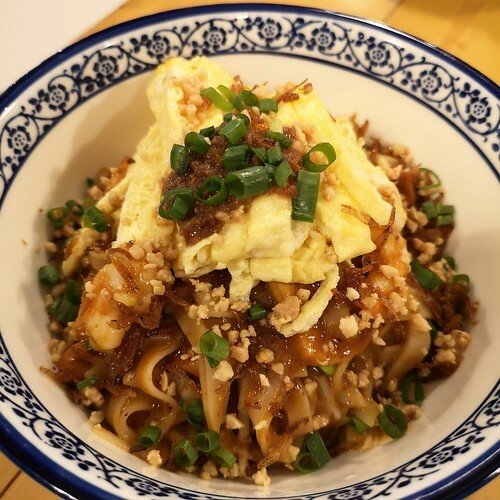 Also wanna try their specials the mee goreng of fried egg noodles with sambal. Plus the desserts – leche flan with sago, and that fried suman with mango slices and latik that I saw on Instagram way before. Till our next visit. They are with foodpanda, by the way, if ever you prefer to dine at the comfort of your home or when in your office. Hoping though that they become included in our list of restos in the foodpanda app. I actually sent an email to the foodpanda support but got no reply yet until now for a request to have them stretch out the list to those as far as Cuencos since I have one resto listed in MTS The Good Food Co which is actually beyond the standard distance range under the app. 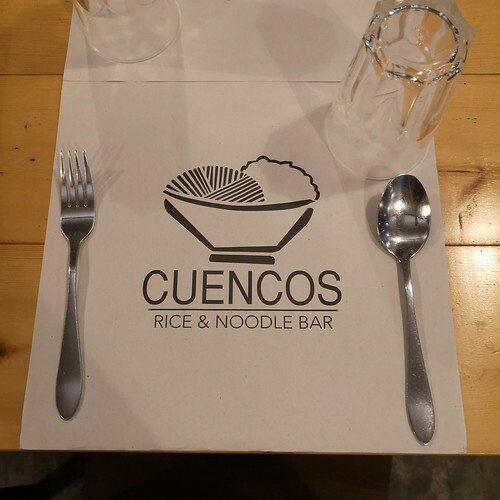 Cuencos is open from 11AM – 2PM and 5PM – 10PM DAILY.